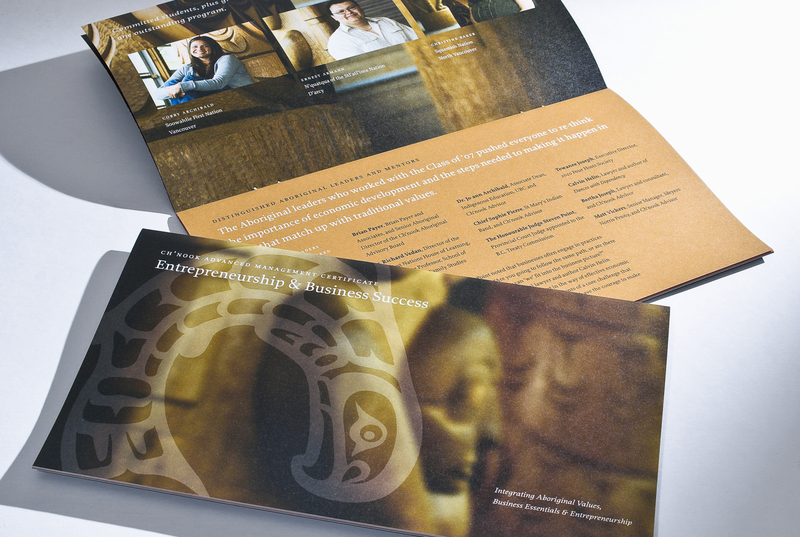 This publication for a unique aboriginal business education program run alongside UBC’s Sauder School of Business had to meet a demanding list of requirements. It had to celebrate the achievements of the first graduating class; promote the program to potential aboriginal business students; acknowledge the instructors and financial supporters; and raise the profile and reputation of the program amongst aboriginal leaders. Warm portraits of the students, each with a blurred backdrop of various totem poles and aboriginal carvings help to create an environment in which to frame quotes from the students and details on the programs and instructors. The response to the booklet has been overwhelmingly positive from all the intended audiences and stakeholders.